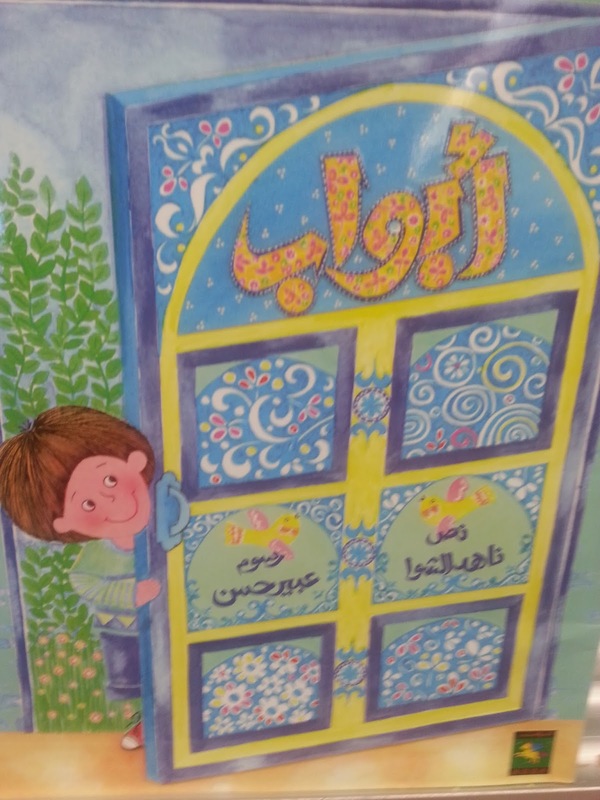 We reviewed the letters ) ( أ – ظ , the name of harakat (fatah, kasra , and dama) and how to read the letters studied with them; this has been accomplished though a number of activities, such as songs, games, stories and competitions. The children have found these activities to be exciting and fun. 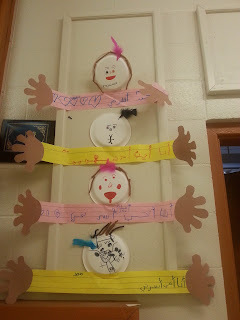 Please ask your children about them and watch as they make the sounds and the actions. 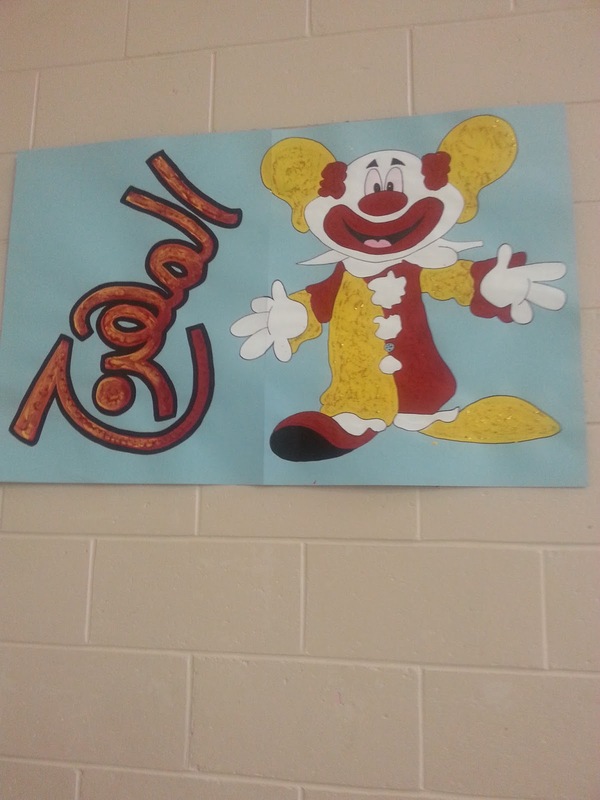 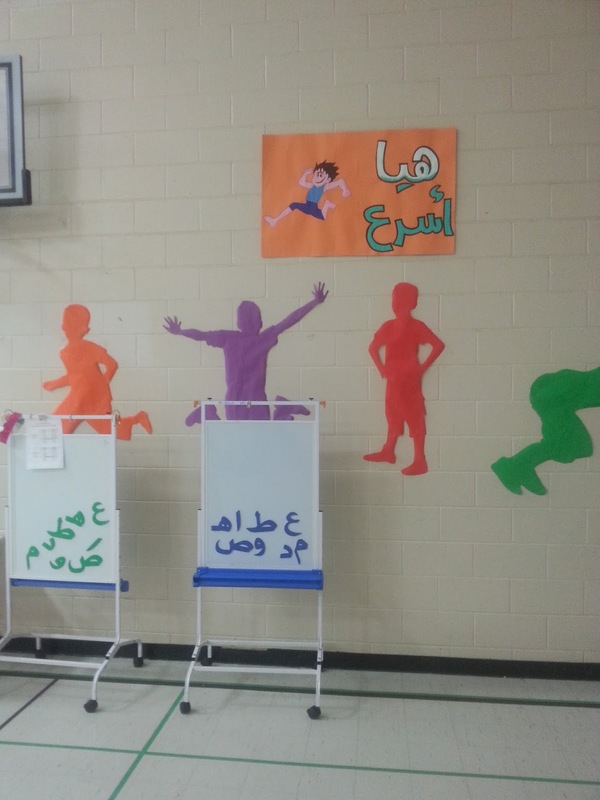 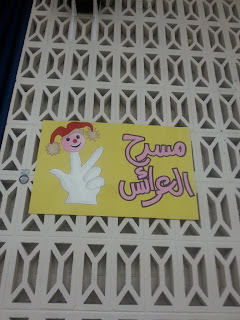 Lesson Title: The letter ع The students worked on the Arabic letter in the classroom. Reading: Read the letter ع with short vowels (fatha, kasra and dama). Writing: Practice writing the letter ع in the Arabic workbook and textbook at school. How to write the ع at the beginning- middle- and end of words. 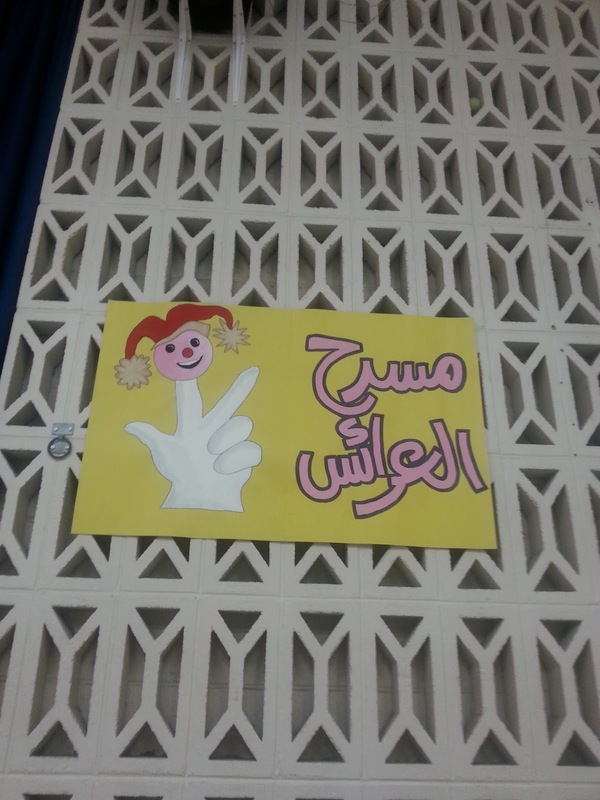 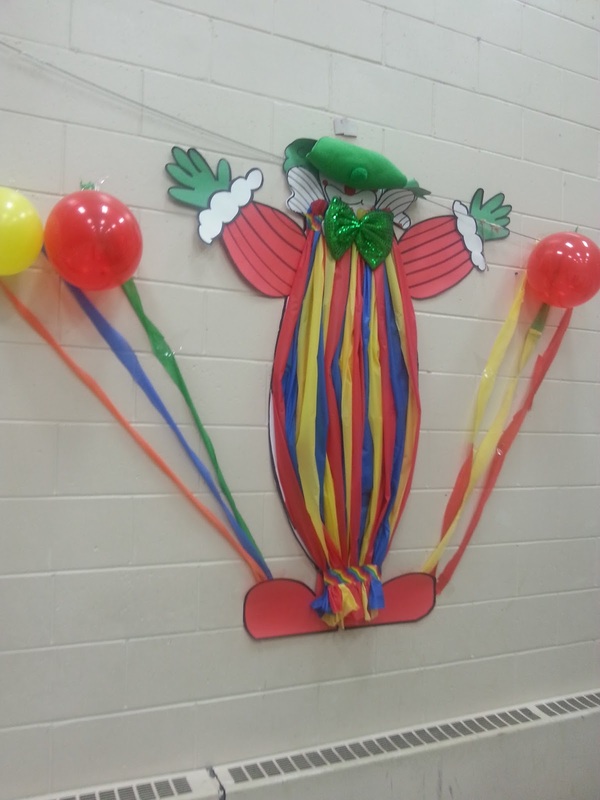 On Wednesday we went to the Arabic festival and the students had a chance to watch a nice puppet show named (سلمى والصلاة), and take part in different games. 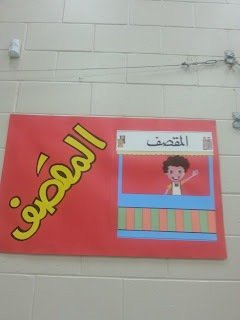 They also had the opportunity to purchase some items from the Arabic gift shop. 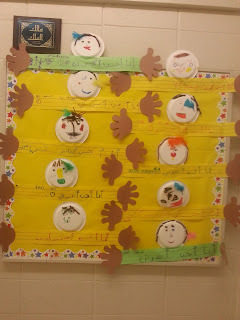 In line with our character of the month, diversity, we ask Allah SWT to help us achieve what really matters in His eyes despite our diverse ethinc backgrounds, skin color, and languages. We ask him to attain Taqwa which is to be always mindful of Allah. 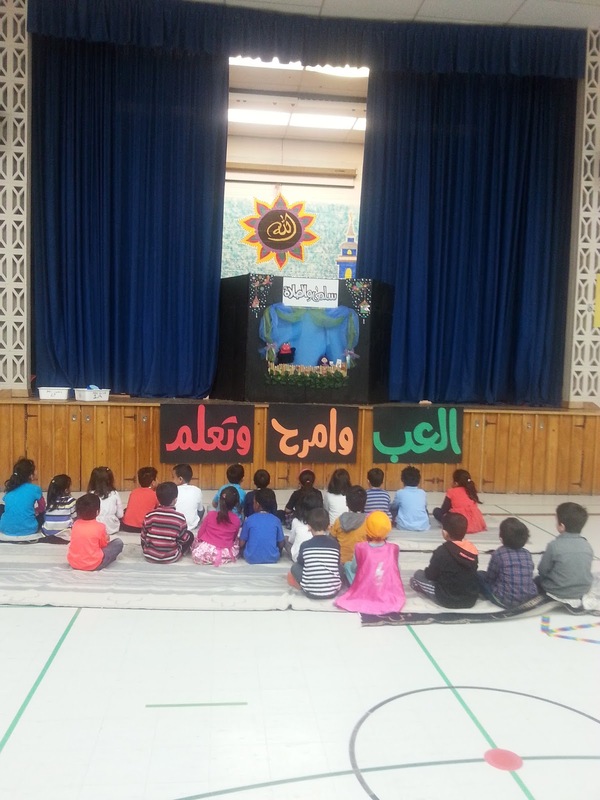 Mash'Allah the SK1 students memorized the dua'a. Way to go SK1. 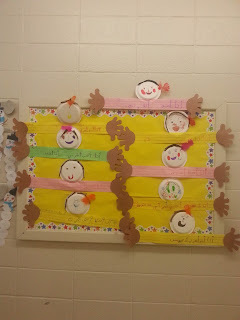 Sk1 are doing an amazing job reading to their classmates. They are taking turns reading during circle time. 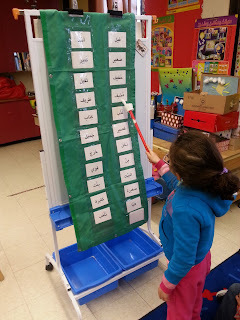 They act as teachers and read by sounding out the letters and joining them to pronounce the new words. I am very happy with their reading progress in Arabic mash'Allah. 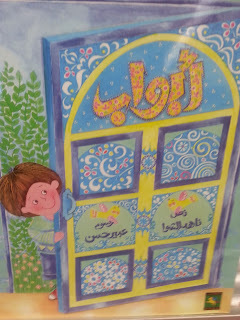 Please continue to read with your children at home. 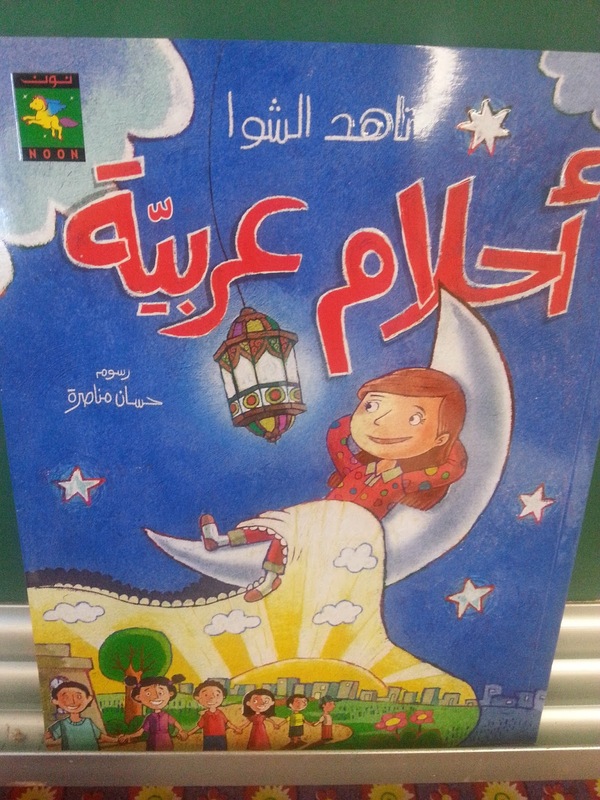 SK1 students enjoyed listening to our new collection of Arabic stories. 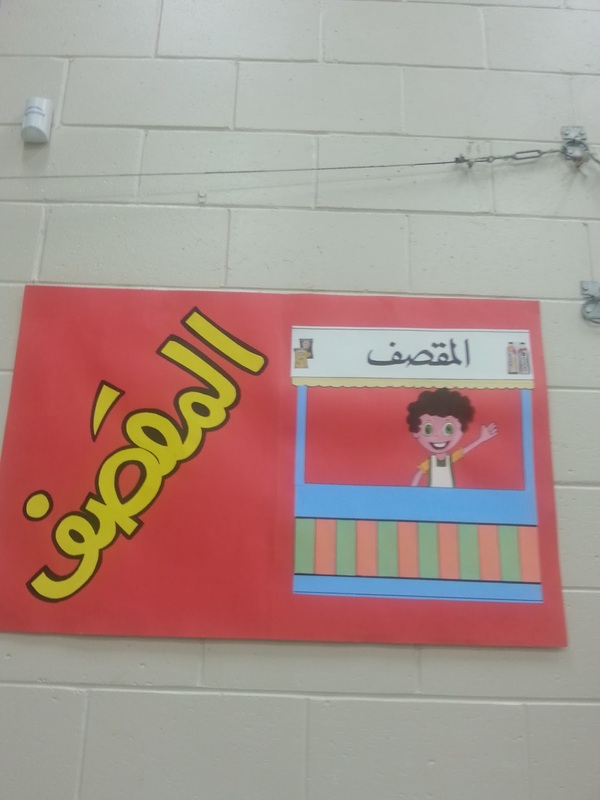 Reading is very important to improve the children listening skills as well as their Arabic new vocabulary inshaAllah. 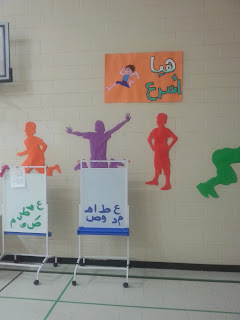 Please ask your child to retell what they learned form the following stories in Arabic. The following are theme related stories about diversity. 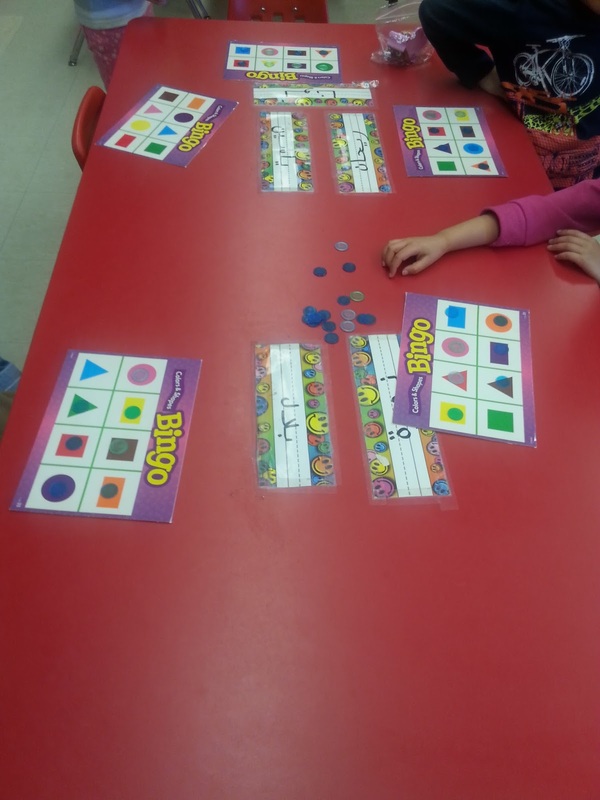 Math: We reviewed the 2-D shapes by playing the Bingo game ( ربحت ) and started our new unit about the 3-D shapes.We are investigating the relationship between 2 dimensional shapes and 3 dimensional figures. 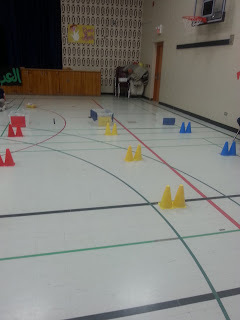 The students had the chance to build towers, castles and other 3-D shapes buildings. 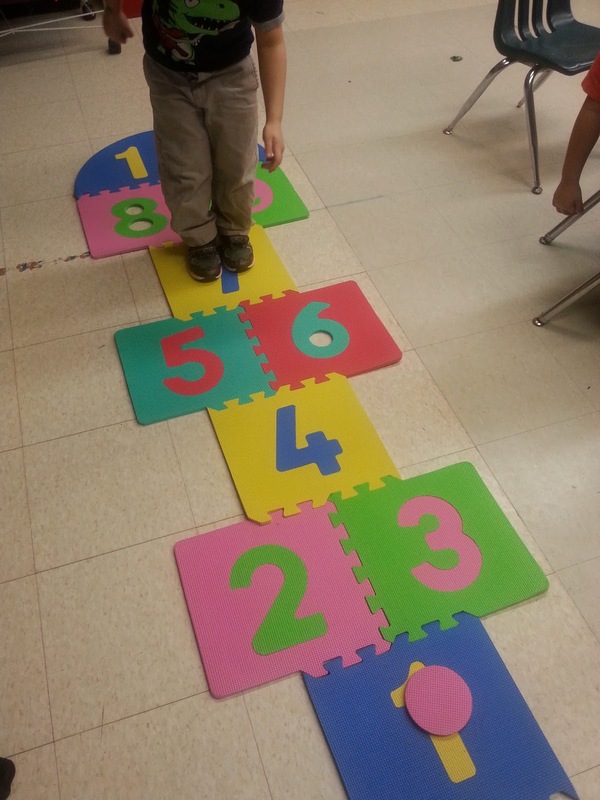 This hands on math activity help the students to understand the 3-D shapes unit more easily. 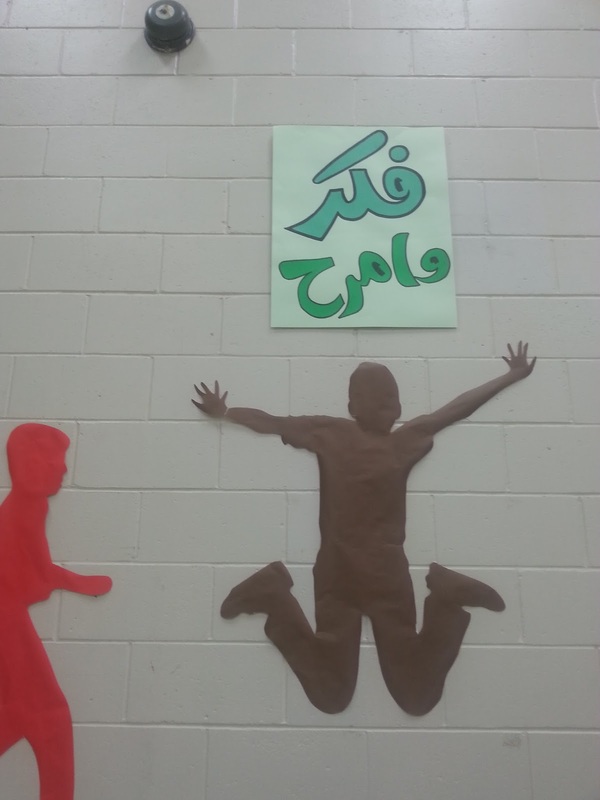 In less than 100 days we will be approaching the holy month of Ramadan. 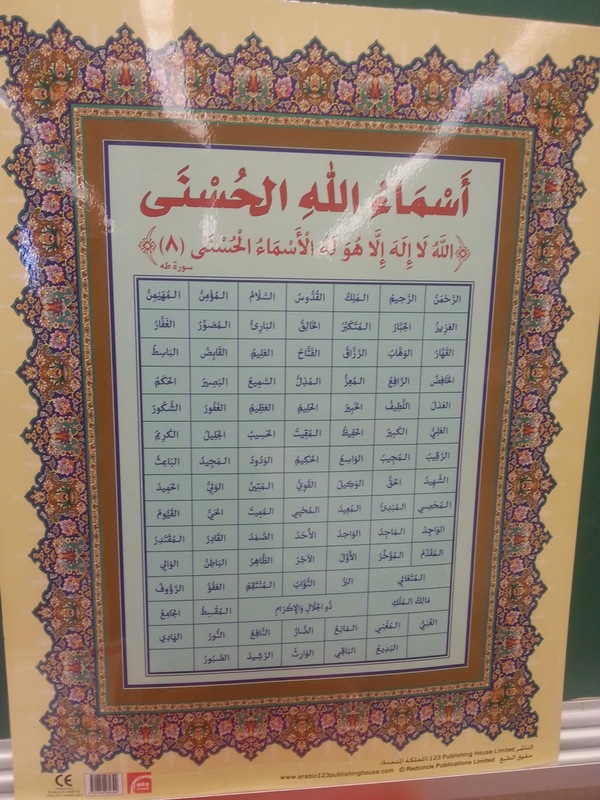 We are learning to read Asmaa Allah Alhusna daily. 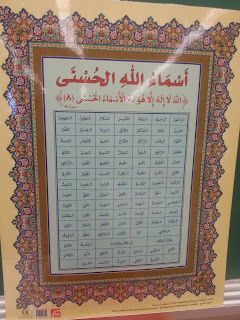 InshaAllah by Ramadan time the students will be able to remember most of the names. Physical Education: The students are practicing their large motor skills with the hopscotch game. 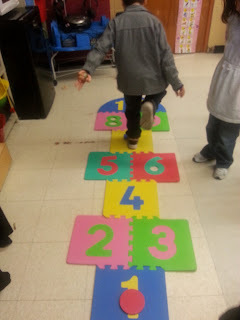 They are learning also to count the numbers loud as they jump.